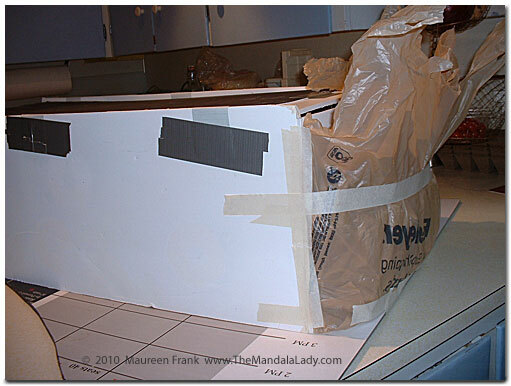 Goal: Create a fun, light weight, easy-to-carry art “Space Odyssey” project for the 2010 da Vinci Days Avenue of Imagination making use of as many materials/supplies as I already have laying around the house and then sharing the process via this blog. So as to keep some suspense as to what the project is, I’m going to hold off telling you my concept for “Space Oddities”…although you’ll begin to figure it pretty quickly. Select the thumbnail images to see a larger view of each. The Base is recycled from the da Vinci Day’s film festival of a few years ago. 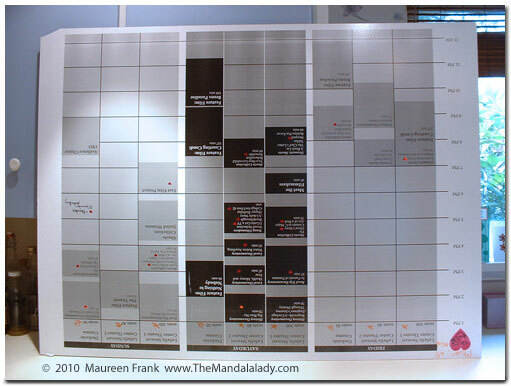 I used the backside of this for Geekapaloosa last year (2009). This year I’m using it for the base of my project. It’s a very solid piece of foam board. The Outline was drawn with black marker. 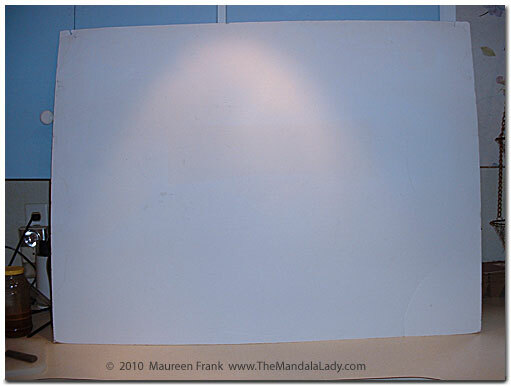 To have symmetry, I drew out the curve on paper and outlined it on the board. 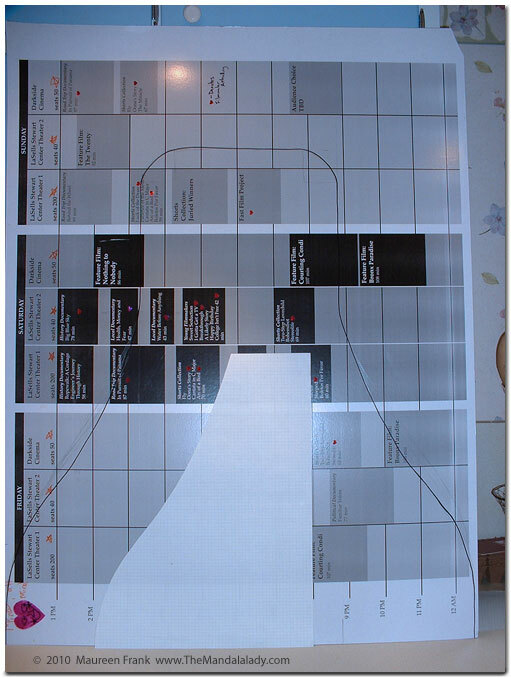 The Cutout backside after I cut along the outline. Are you starting to guess what this is going to be? 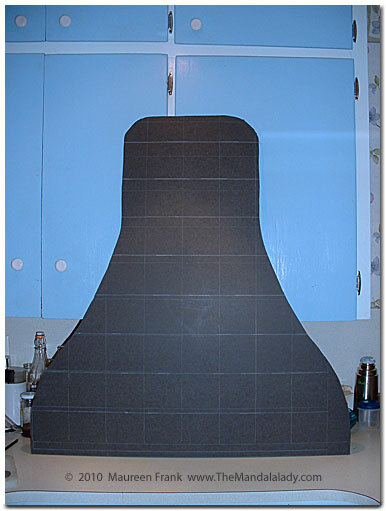 To build the basic structure of my project, I’m using this piece of Foam Board which I had in a pile in the garage. 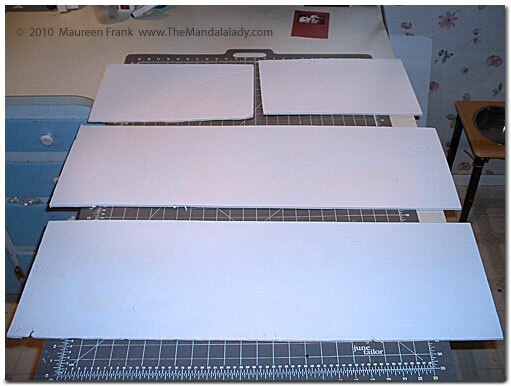 I cut 4 Foam Board Pieces; 2 – 32×10 and 2 – 15×10. 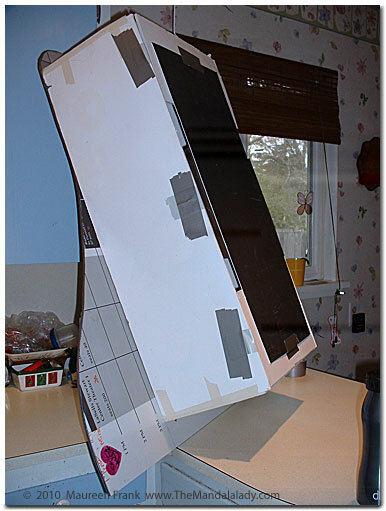 The Box was put together from the 4 cut pieces to make a 15x32x10 rectangle and vertically centered with 2.5″ in front and in back. 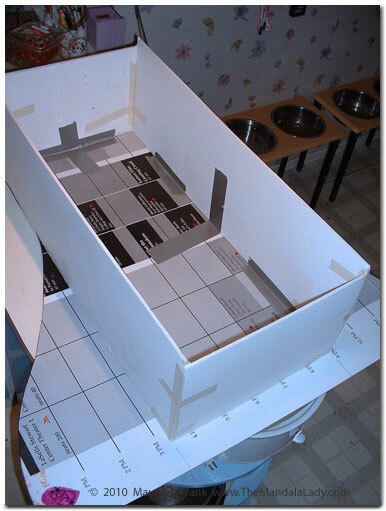 I used masking tape for the sides and duct tape to adhere the box to the base. This photo gives you another view of The Box. 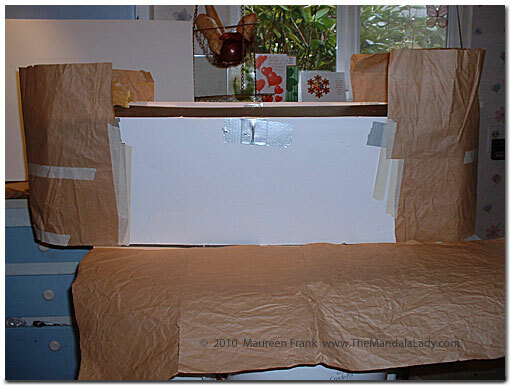 The Box Top creates a platform to cover empty space below (without a need to fill it) and be the base for the top portion of the project. I cut 3 15″ pieces of foam board to create shelves crosswise and then used a piece of 10×30 mat board (from the garage) for the lengthwise portion. 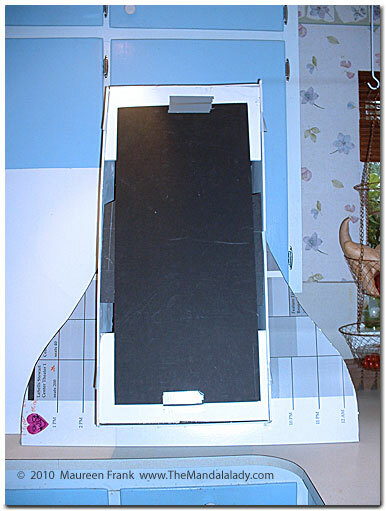 Here’s another view, a side view, of The Box Top platform. The Front Pocket is designed to give the box a rounder end. 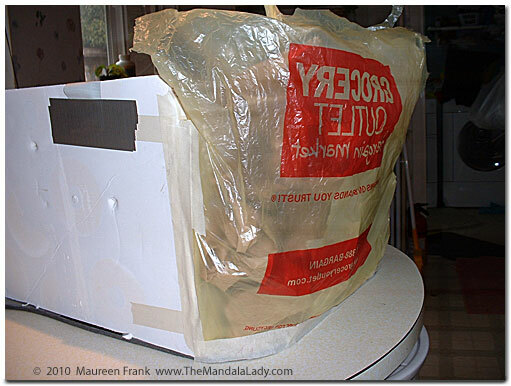 I cut a plastic grocery bag in half along the bottom seam. 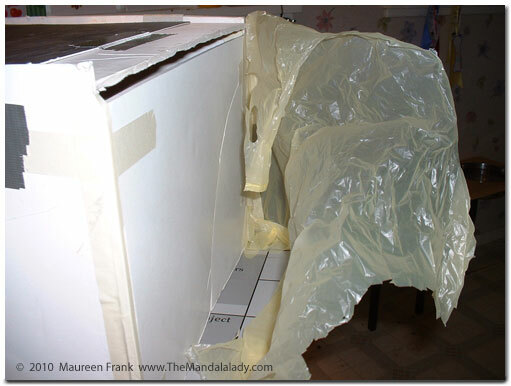 I taped one of the bag corners to the front right corner of the box. Here’s the outside view of the Front Pocket. 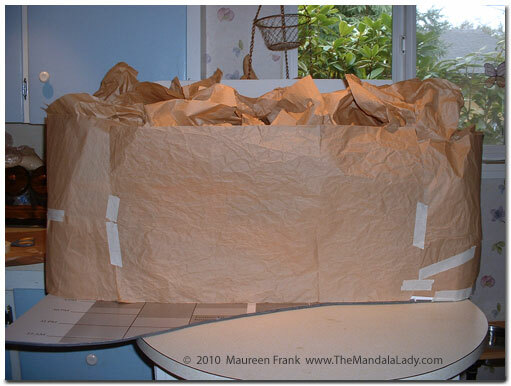 Next I used the other half of the cut bag to tape to the front left corner to complete the Front Pocket and filled it with crumpled brown packing paper. The Back Pocket is put together in the same way as the front pocket. 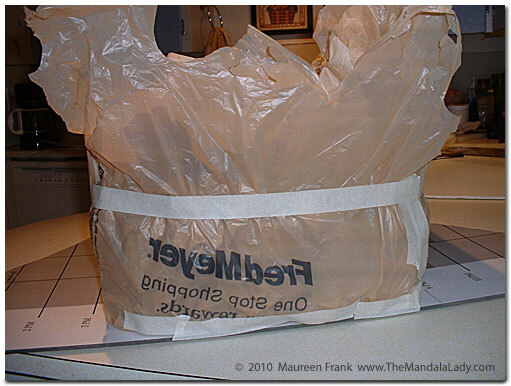 Once the 2 pieces of the plastic bag are taped, I then filled them with crumpled brown packing paper and taped the bag across to firm up the space of the pocket. A side view of the Back Pocket. 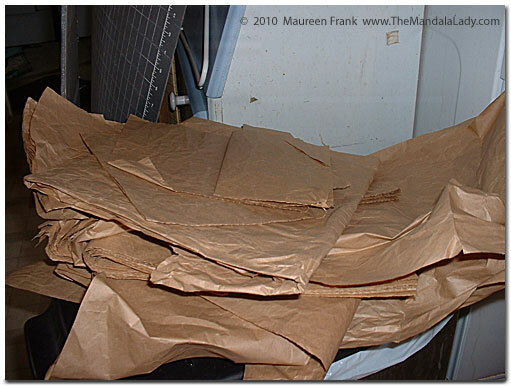 I save the Brown Packing Paper that comes with any shipments/packages I receive in the mail. I had this pile of paper stored in the garage. 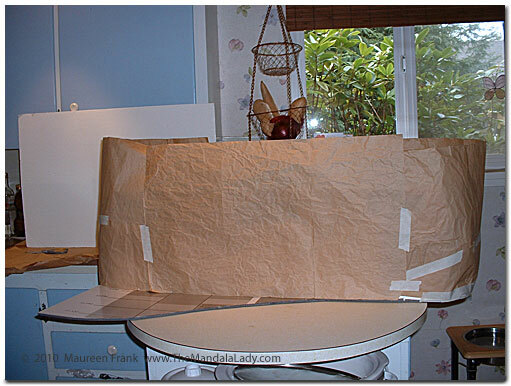 I apply a skin of paper to the Front/Back Sides giving a more defined shape to the project. I continue to apply the skin of paper to the Left/Right Sides. 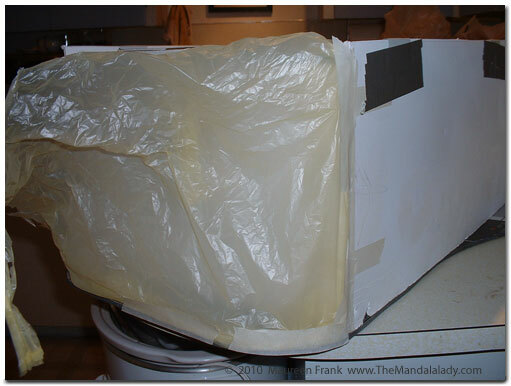 I crumple up the brown packing paper and start The Stuffing of the box. This will allow me to continue the shaping of the box. 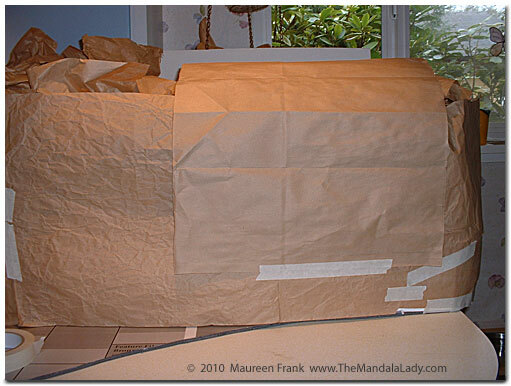 The Top Skin is made of a paper grocery bag, where I cut off the bottom and up the seam to create one flat rectangular piece of paper. 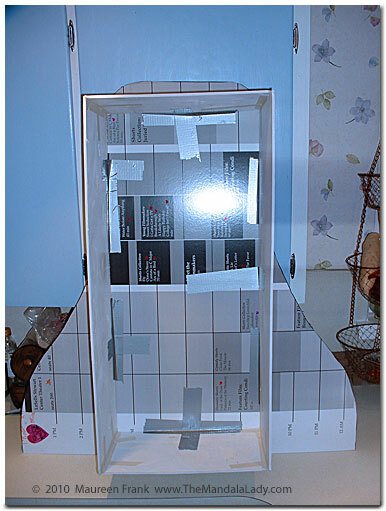 I tape this skin on and continue to stuff the box. 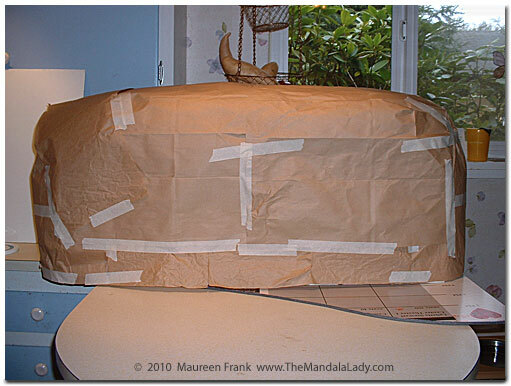 Using some more brown packing paper, I tape it to The Front End from mid-way up to the top to create a curved shape. The Skin is now on/over the entire box. Do you think you know what it is now? 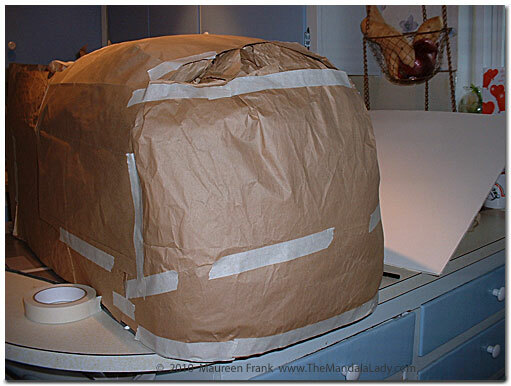 It probably looks like a large loaf of bread.